Under the bright pendant light in the operating theatre, Sally Gilbert keeps a close eye on what is happening around the table. 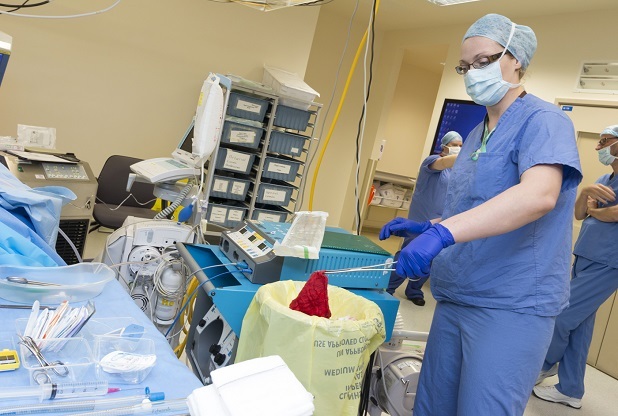 Minutes earlier, she was checking every all the equipment and running through the surgical safety checklist as the cardiac surgical team scrub up ahead of the aortic valve replacement. Now as the surgeon lifts his blade to make a neat cut into the patient’s chest, Sally anticipates his every move. She darts around the operating theatre, adds numbers to a whiteboard as another pack of swabs are used and tears open the packaging for a ‘balloon pump’ inserted through an artery to support the heart. 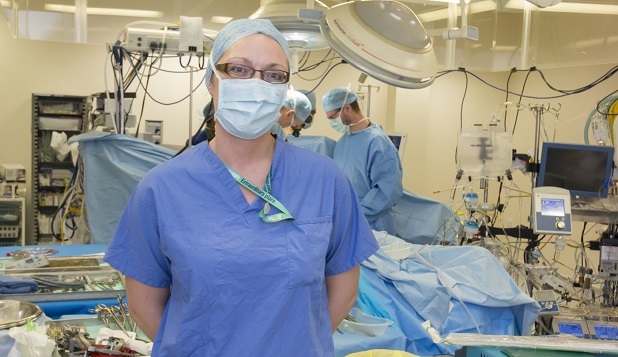 As an operating department practitioner (ODP) working for Hull University Teaching Hospitals NHS Trust, it’s Sally’s job to know exactly what’s coming next. 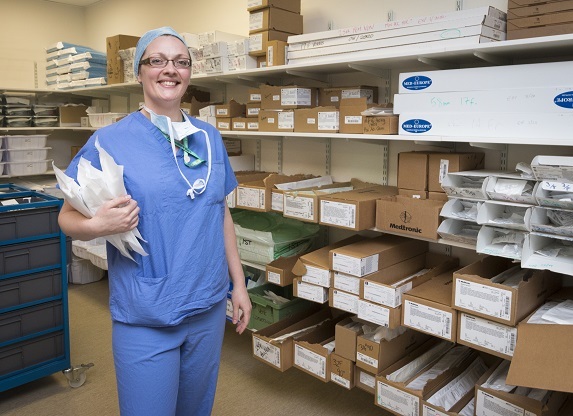 Sally, 36, is part of a highly skilled team who play a vital role in the operating theatres at Hull Royal Infirmary and Castle Hill Hospital. Joining the trust as a medical lab assistant after completing her ‘A’ levels at Wyke College, Sally was about a year into her job in pathology when her friend started training as an ODP. ODP training was then a two-year course, with the trust paying for students to study one day a week at Huddersfield University and four days in practical work experience. Now, it’s a three-year degree course, with the University of Hull training the ODPs of the future. Once they qualify, ODPs mainly work in three areas – anaesthetics, surgery and recovery. Before surgery, ODPs prepare all the machinery and equipment which will be required and check stock to ensure everything is in its proper place for the operation. They’ll carry out a safety checklist, ensuring the right patient is here for the right thing. The ODPs work with anaesthetists to monitor, cannulate, anaesthetise and position the patient ready for their surgery. The ODP then runs through the WHO checklist and checks all equipment used, such as swabs and instruments, in and out at every stage of the procedure to prevent the retention of foreign objects during surgery. If working ‘on the scrub side’ the ODP will scrub up, wear a sterile gown and gloves, and prepare the trolley with all the instruments, swabs, needles etc. needed for the case. They then work with the surgeon providing the items they will need during the operation. Once the operation is over, in PACU (Post Anaesthetic Care Unit) the ODP will monitor the patient, checking on their oxygen levels, their nausea and pain. “It’s a lot harder to tackle pain once it peaks so we aim to stop it before it kicks in,” she said. No two days are the same and ODPs, like the rest of the surgical teams, we never know what could happen once the patient arrives on the table. Today, all is well. The patient, born with a congenital heart condition, undergoes the aortic valve surgery and is then taken to Intensive Care to begin the road back to recovery. For Sally, the patients are the best part of the job. “You get to meet some lovely and interesting people,” she said. “But there’s also the adrenalin involved in a job like this because you have to be ready to act when something happens. We pull together as a team and there’s a fantastic sense of team spirit here.